It’s no secret that video marketing is a powerful way to promote your business. Most marketers fail to tap into video and miss out on a lot of potential traffic and sales. Why? Because creating well-produced videos is difficult. Not everyone has the time, money, and skills to create marketing videos. So, they avoid videos altogether or use a video they found on youtube – which doesn’t exactly promote their specific individual marketing campaign. YES, Video marketing is incredibly powerful. So if you aren’t using videos for your online marketing efforts, you really are missing out on a lot of traffic and conversions. 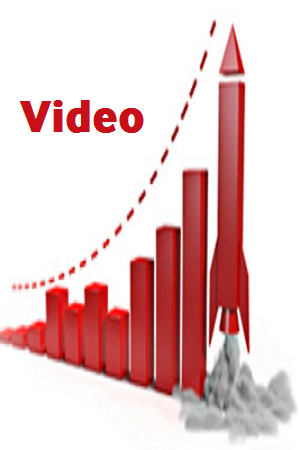 There is no doubt that video is the fastest growing sectors in online marketing. This has been greatly aided by the increased access to the internet and faster internet speeds and smartphones. It was only a few years ago; people used their phone mostly to make phone calls. Today, improved internet speeds have people accessing the internet and social networking sites while they are on the move. So it’s little wonder that smart marketers are focusing their efforts on creating a video. The right video, a shareable YouTube video that goes viral, could bring in massive traffic. In fact, YouTube has created a few millionaires! Getting your business video on YouTube is an excellent idea, and it sounds simple, but it’s actually more complicated than it sounds. For those of you who don’t have video editing skills or video production equipment, creating professional videos can be a challenge. There are a lot of programs out there that you can use for free to create decent videos, but you’ll still need footage. It creates a really cool slideshow-style video with text overlay and professional slide transitions. The product I’m talking about is Content Samurai, a really clever online platform that lets you build professional looking videos in a matter of minutes. In this Content Samurai Review, we’ll take a closer look at this product and reveal how you can use it to drive traffic to your website and make more sales. To Give Content Samurai a try; Click here for a free Trial. Content Samurai is an online platform that lets you stitch together text, audio, and images from the web to create professional videos for YouTube or marketing purposes. It’s a cool program that you can use to create keyword targeted videos to send more traffic to your website or product. To get started, a script is required. This can be an article or a post from your website or something that you make up on-the-go, you should put some effort into creating a unique and interesting script for your video. This is what most people don’t realize; if your script doesn’t engage people there’s No Way they’ll click on your links and your video marketing efforts will be in vain. You need to come up with something to grab the readers attention. 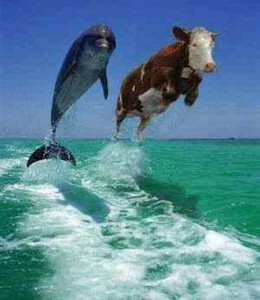 Such as this ‘Dolphin and Cow‘ in the image to the right. The title also needs to be keyword targeted. Once the script is created, log in to Content Samurai; there’s an area where you can copy and paste your script. Whenever there’s a line-break in the text, that triggers a new slide. The goal is to keep each slide short and to the point, a line-break after each sentence is a good idea. Once you formatted the article, the article will be broken up into individual slides. It’s up to you to choose the background for these slides; either use images related to your article or a default custom background. It’s also possible to edit the text size, color, and format. Now all that’s missing is the voice-over. 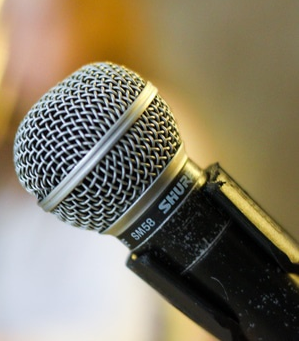 Content Samurai makes it easy for you record your voice in sync with the slides. There’s a button labeled “Record” on each slide; this will record your voice. You just have to click the button, read the text on the out-loud, and move on to the next slide, repeating the process until all the slides are done. You can click the play button to see your progress. I recommend investing in a decent microphone and perhaps even soundproofing your recording area. I don’t mean that you need to plaster the walls with sound-proof foam (unless that’s an option), but you should make sure that there are no background sounds that’ll ruin the quality of the audio. Personally, I’d rather not watch a video that has poor recording quality for much more than 5 seconds. So, if you’re going to make videos, invest in a quality microphone, it will really improve the video production quality! So once you have completed these steps, all that’s left is to wait for the video to convert to a usable format, and then upload the video to YouTube. It’s as simple as that. These videos can be created in a matter of minutes! Do keyword research and make sure to include the keyword in the video title. If you find a low-competition keyword, creating a video with that keyword in the video’s title is an excellent idea. I recommend starting the process with keyword research and then create the article or script and then the video. Most people forget to include keywords in their video titles, and it could defeat the purpose of the video because a large target audience could be cut-out. List videos, much like articles, are always a hit. You have probably heard that list-style articles are awesome, well, the same goes for videos. Create list-style videos with interesting content, and I guarantee people will swarm to your website. Content Samurai places a lot of emphasis on creating videos FAST. However, I think this will lead a lot of people in the direction of creating junky, low-quality content videos and then quickly uploading them, which I don’t think will lead to a good response. I think it would be much more productive to take your time with the video and focus on creating a top-notch quality video instead of rushing the process. If you take your time and use the software and pay attention to all the little details, I guarantee that your videos will perform much better than your competition. What did we learn in this Content Samurai Review? Content Samurai is a cool tool for creating videos based on a script. You don’t need any video editing equipment to use the software. You just need a script and a good microphone. YouTube videos rank higher so target keywords in the titles. Focus on quality,don’t rush the process, the audience will appreciate it. I am also going to provide you with some important information that you can download for free that will show you how to maximize your advantage of this online marketing phenomena and show you how you can beat your competitors with far less effort. Inside you will find 13 simple tricks video marketers are using to get consistent loads of traffic and great rankings with videos. In a nutshell, I do recommend Content Samurai. If you enjoyed this post “Marketing Videos” please feel free to share socially or leave a comment below. I have been hesitant to create more YouTube videos for marketing purposes because I do not like being on camera. I am really impressed as to what Content Samurai can do. The software would make it easy to create informative videos without having to be on screen yourself. Seems like a perfect solution for people like me who are a bit camera shy. Thanks for the review! I am very interested in this product now. I would have to agree with you, video marketing is extremely powerful and useful for businesses! Thanks for writing this post and sharing the video stats that was very interesting. It is true making videos can be discouraging for several reason but I am glad you shared the importance of videos and making them for your business. Hello, Christina. Thanks for your comments. There are of course other options for creating a video a little differently to Content Samurai and if you want to consider these options I have a step-by-step guide that explains the latest video creation programs and proven Video Marketing techniques and provides an overview of how to use video for achieving your objectives. In this eBook, I provide simple and precise information that will assist you to in your endeavors to showcase your products easily and explain how to get long-term benefits for your online business. Wow, Peter! I am on my way to content Samuri. Your article is clear and I love the puppet video! That drew my interest immediately. I have written a book and started a blog. I didn’t know that written content doesn’t get as much traffic as video. Do you suggest doing this on every page or just periodically? How do you keep up with the keywords? Hello, Lisa. Thanks for your question. Really every page that you want to rank will probably rank better with a video. I don’t have one on every page (over 100) but usually I do. I also make sure that the video has the same meta copy and keywords as my post so that it will rank for the same topic. Excellent review! I am very interested in Content Samurai now. I will be looking into this now that I have an idea of what I need to do. Thanks for the great explanation on how easy it is to use. I really need to focus on making videos for my website and this seems to be my best course of action. Great information, I am always afraid to do video which I know is part of the business. One thing I caution is both the formatting in the post, too busy, there is a line that goes through and some misspells. Otherwise very informative and relevant even a year later. I definitely liked the dolphin and the cow picture. Wow, I never knew how easy it is to create a video. Honestly, I am scared of making videos because I’m quite shy; however, this seems like the perfect solution to it! The fact that you can create content and upload it in under 20 minutes is quite impresssive especially since it looks professional. I think this product is great if you already have an idea of what you are doing;however, I’m wondering how it stacks up against animated videos which allows you to have characters, backgrounds etc…. Content Samurai sounds like a great product. But a bit expensive to be honest. I see they have a 7-day free trial, which I thought was worth checking out. Actually, I have been thinking about creating videos for my website for some time now. I can understand that uploading some cool and useful videos to youtube can bring a lot of traffic. That would be great if I could get that haha! This article was very informational and informative. I created a website recently and I was looking for a way to incorporate media into my site that would please my audience. This article was very helpful. Based on your suggestions, I think I will try my hand at creating a YouTube page. I am a frequent user of YouTube and I think it will benefit my website in a positive way. Great review here mate. Never heard of this software before but unlike many scammy apps and programs out today this one actually looks like it’s worth having a look into! Youtube is the 2nd largest search engine on the internet so definitely a great way to generate traffic!! Going look into this one a bit more. What an informative article! Video marketing is getting popular now and Content Samurai is a good tool to start making a video especially for a newbie like me. It easy, simple and fast. However, I find that the price is a bit turnoff. Are there any similar products which charge a lower price compared to Content Samurai? Hi Peter, thanks so much for your very informative article. I am looking into creating a Youtube video to put on my website. Content samurai seems a great product but at this stage, I won’t be able to purchase it. But I have taken notes and will refer back to it at a later stage. I agree with you, videos are the way to go. I am still surprised by the high conversion rate. though – that’s impressive. Content Samurai seems like a good DIY approach to video marketing. I can appreciate your distinction about taking your time and turning out a better product rather than focusing or getting it done quickly. 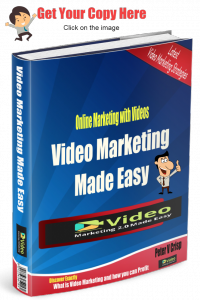 The how to video is fantastic and I don’t have to guess how easy the software is to use. The extensive graphics library is another plus. I love hearing about new source online, Content Samuri seems like a tool that can be useful not only to someone who has no experience making videos but also for a busy media designer who just wants to make a quick video without all the work of putting together media files to incorporate into that video. Content Samuri seems to have it all there at your finger tips, quick easy and professional looking, It could save even experience video editors or graphics designer time with some of there small projects! This tool would be very useful for people just starting out on Fiverr don’t you think? I like this page because you bring up a very important tactic for digital marketing. I just saw something the other day that talked about how people these days, even the higher ups, want to watch more video than reading, so having a website with a video factor can pay dividends in the long run. Keep up the good work. Hello, JP Yes, the problem for a lot of people is creating well-produced videos as not everyone has the time, money, and skills to create marketing videos. Wonderful review on Content Samurai. I’ve noticed that I’m constantly battling video reviews on google. I need to combat this by making video reviews of my own from my current blog posts but have been intimidated about going in front of the camera and I certainly can’t afford a professional videographer. Content Samurai addresses both of these issues and makes it easy to create a video in minutes! Thanks so much for your help! Wow great site! So much content and very personal. I am a current business student and I found your information be very good and supplemental to my post secondary education. Marketing is definitely somewhere I could see myself concentrating on in school. I wish you all the best with your site Peter! Thank you for this informative and insightful article. I haven’t thought about the great influence which video has on people, this is why I will try with adding video to my website so thank you for this idea. 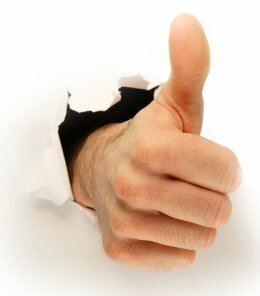 As a whole you have done wonderful job with your site. Keep up with the good job. I am so impressed with what you have to offer here. I really do agree with the idea of putting videos out there to market your product but as you said a lot of people like myself find it difficult to do so. I have learnt a great deal here. The software you are offering seems pretty cool and interesting to use. I am very much impressed and interested in getting it soon. The instructions seem very easy to understand and follow. As I understand from this too, doing your video will make you unique in sense of word instead of using videos of others. Your explanation is clear and simple yet to the point.